I was born in Tripoli (Libya), where I started the studies finished in Rome, where at present I live and work. Graduate in Psychology, I am qualified in cognitive behavioral therapy, registered psychologist at Lazio Order and expert at the Rome Court. 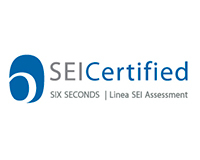 My ten years experience in Executive Training bring me to the interest for coaching: I’m qualified with a master’s degree accomplished at the Academy of Executive Coaching (London). 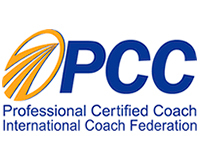 I’m PCC Coach (Professional Certified Coach) validated by International Coach Federation and ICF (Italian Federation Coaching). 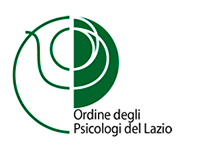 I’m co-author of Guidelines for the Industrial and Organizational psychology in Coaching practice (document commissioned by Lazio Order of Pasychologists) and I’m member of the Culture and surroundings magazine’s scientific committee. I speak english, french and portuguese. I carry out coaching activities in important Italian companies through programs focused on welness, communication and soft skills. Moreover I have a strong editorial and writing activity. My articles especially regarding social themes and I hold many partnerships as female magazine’s consultant. I participate in television as coach in some Italian national show. Professional development is linked to the personal and social improvement, that encourages me to a continue research in a wide range of themes: neuroscience, emotional intelligence and passion about writing.